Recently, David Brooks wrote an article for the New York Times about Vice President Joe Biden. The article referenced Biden’s ‘Formation Story.’ Regardless of the politics of the article, we were drawn to this term. In order to be effective in civic work we must have a deep understanding of who we are and what drives us to get out of bed every day and fight. Most people don’t realize that the Walnut Hills Redevelopment Foundation has been around for almost 40 years. We were created by the community council in 1977 to develop quality affordable housing in a time when places like Walnut Hills were being abandoned and, in many cases, forgotten. After decades of assorted success, the organization was at a crossroads five years ago. We could close our doors … or innovate into an organization that reimagines our role as much more. Having chosen the latter, we maintained that we didn’t just want to be a developer. We wanted to be a catalyst for sustainable and positive change. Partnerships with the Walnut Hills Area Council and Walnut Hills Business Group ignited that course, yet, we have still struggled to establish an identity. Throughout this time we’ve asked big picture questions like ‘What is our purpose?’ ‘What do we value?’ and ‘What will we fight for?’ Recognizing the importance of community input, we posed these tough questions in the form of neighborhood listening sessions, survey collection, and through non-traditional engagement streams. As a result, our new brand was born. Our new brand identity is a mash up of what we’ve heard in the community over the last four years. It reflects our relentless desire for equitable change and growth. It reflects community development that values the community organizing and boots on the ground strategy of the past and matches it with the modern day approaches to big, bold and innovative ideas that are driving urban expansion across the country. 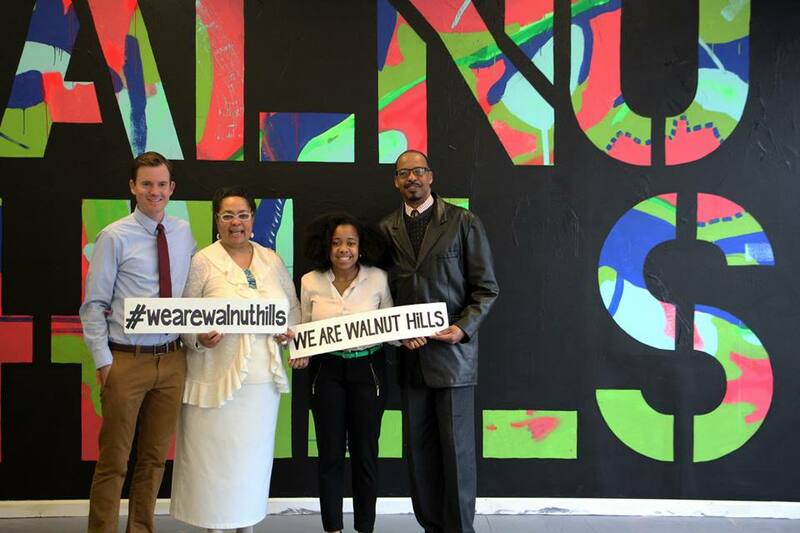 It is an inclusive brand that respects and celebrates the history and identity of Walnut Hills, while inviting new stakeholders to the table to contribute to our community’s growth. Will inclusive and equitable change be easy? Will we always be as successful as we want to be? No. It will be hard. Damn hard. But we believe that we must do what’s hard. We believe that we must lead by example. And guess what? We can’t do it alone. This type of change is going to require your participation, through both successes and challenges. It’s going to require all of us to listen to each other, to inspire each other, to be agile, smart and strategic together. We believe that the future of community development belongs to change agents and risk takers. Those who believe the impossible is possible. Are you one of those people? Are you ready? EDITORIAL NOTE: This letter was jointly authored by Kevin Wright, Executive Director of the WHRF, and Christina D. Brown, who serves as the organization’s president. Wright was a reporter for UrbanCincy in 2010, prior to taking on his leadership role in Walnut Hills.